Happy National Bath Safety Month! And Blood Donor Month. And National Hobby Month. You get the gist. Need some ideas to help plan your marketing events or special promotions? 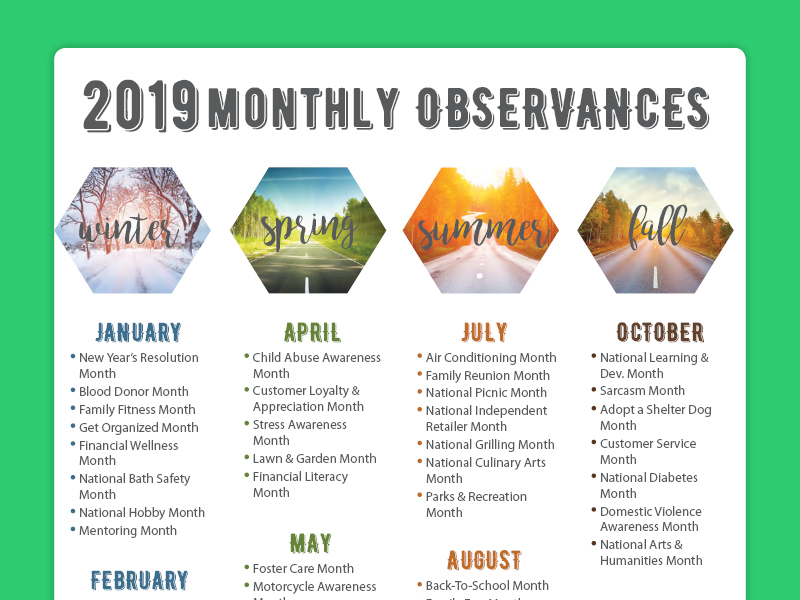 This Monthly Observances Calendar will help you identify those occasions throughout the year that may tie in well with your marketing efforts.